Your outer appearance is an expression of your inner vitality. How does acupuncture obtain these results? By stimulating the face with tiny needles, we are essentially causing controlled micro-traumas. These micro-traumas will then promote the circulation of healthy, oxygenated blood to the muscles and skin of the face, in an effort to heal those areas. Traumatizing the skin will also promote the production of collagen, the protein which keeps the skin youthful and elastic. By stimulating specific facial muscles, we will also help to increase their tone and promote lifting of the face and jaw. Equally important is to address the inner vitality by stimulating the body’s natural detoxification process. What should I expect in a typical visit? On your first visit, we will discuss your areas of cosmetic concern and how you would like to benefit from the treatments. We will also review your medical history to address any underlying disorders which may contribute to accelerated ageing. After the consultation, we will begin with the first treatment. Some are surprised to find that we will still be using body acupuncture points despite being a cosmetic treatment. These points are to promote inner vitality, detoxification, and address the underlying issues we found in the consultation. Typically 10-14 body points are used. Next, the face will be stimulated at specific points using tiny needles which are inserted roughly 0.5cm into the skin layer. These needles are usually painless but can feel like a small tingling sensation. The needles will remain in the body for about 25 minutes so the body can relax and the blood/energy can begin to flow. After the needles are removed, we will perform a dermaroller treatment and apply any necessary creams and lotions. The entire session can take up to an hour. If you have any questions or concerns during or before the treatment, please do not hesitate to voice them. How many treatments do I need? And are there any side effects? The frequency and duration will always be up to you. However, for best results we highly recommend 10 sessions over the course of 5 weeks. The results are cumulative so need to be performed in succession within a given timeframe. Noticeable results are obtained within the first 3-4 sessions. There are no repercussions if the full course is not completed and there are virtually no side effects to this treatment (except for some occasional light bruising, which usually dissipates quickly). The effects of the treatments will be noticeable for the following 3-6 months. Hence, maintenance sessions are typically recommended to extend the benefits, recommending a frequency of at least once a month. 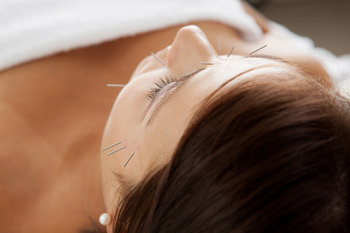 To get a complete understanding of how acupuncture works and what to expect at your visits, please click on the links. Cosmetic acupuncture is not recommended for current smokers and pregnant women.